It seems counterintuitive to think of ice as a sign that winter is coming to an end. But these odd formations have appeared in my backyard, below the eaves of my house. They are the result of snow melting from the roof. Although it is still cold enough that it freezes, this gives me some hope that winter is near its end. There are many ways to enjoy winter in Northern New Brunswick: skiing, snowshoeing, skidooing, skating, and sledding. By the time spring officially arrives, however, I am ready for its end. I crave flip flops and walks on the beach, campfires and balmy summer nights. I am done with all the whiteness and not being able to see around corners when I back out of my driveway. We are not done with winter weather yet, but at least there are signs that it is beginning to end. This photo was taken a number of years ago. Rather than making a new one, I chose to use this one as it represents simplicity to me on many levels. I’ve always taken pictures, but this is one of the first photos I took with my DSLR. Even though the camera became more complicated, my style did not. Photography for me has always been focusing on a few simple details, cutting out anything that does not add to the subject matter. A daisy is that most common flower, found growing wild, picked by children who pull the petals off, and gathered by women in wedding bouquets. They are grown without fertilizer or fanfare. Daisies represent purity, innocence, cleanliness – perfect for the theme of simplicity. In art as well as photography, a palette of black and white is also simplicity itself. This photo is a reminder to pare down the elements in a composition; a reminder that sometimes, simple is best. In a jewellery box on my dresser, I found this forgotten sand dollar. It has been tucked away for a number of years now, in a tiny wooden box along with a piece of sea glass given to me by one of my children. With time, the tiny specks of colour splattered on its surface have intensified. Like so many other treasures, its beauty has grown with age. I decided to crop the photo square, to focus in on the floral shape and cut out unnecessary background. In doing so, I’ve found that it looks like a quilt square. What a perfect beach blanket this could make! There are so many things I am grateful for: being surrounded by family and friends; having finally settled into a job that I love; a yoga practice that enriches and strengthens me; books that let me slip away; and little things like coffee and chocolate… But when I started thinking about what I would photograph to show gratitude this week, what I realized is that right now, I am most grateful for being home again. This is the early morning sunrise through my back window. Our first significant snowfall coated trees and lawns, turning our world white. Admittedly, I am not a fan of winter – I’m a summer girl, through and through. But the magic of the first snow is hard to ignore. The golden shades of November disappear under this fresh layer of frosting; the barren branches are bright and new. For now, at least, winter is a welcome sight. Some days my son disappears into the woods. Armed with nothing but his imagination and sense of adventure, he heads into the woods behind my parents’ house, often with his cousins and friends. He’s done this on gorgeous summer days, drizzly evenings, and crisp snowy mornings. I’m never exactly sure what he does there, nor do I care to go investigate. I hear the occasional shout and the hard crack of wood against wood, so I know they’re safe. 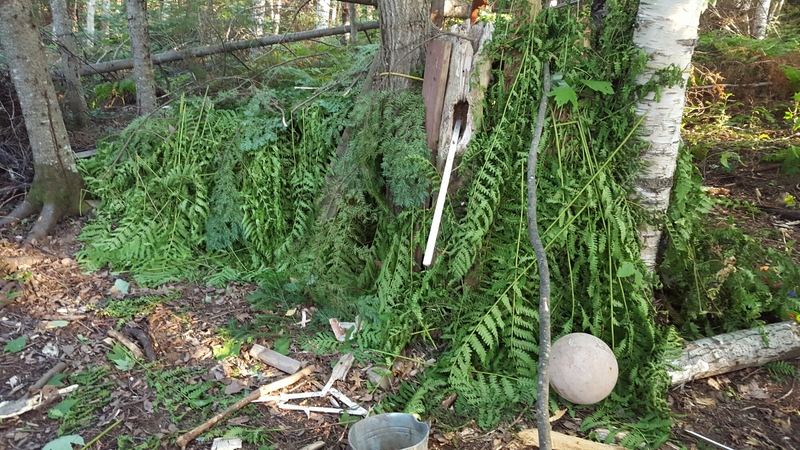 The woods are the setting for untold stories, and the fallen trees are material for a fort. The darkness is a filter from the rest of the world. 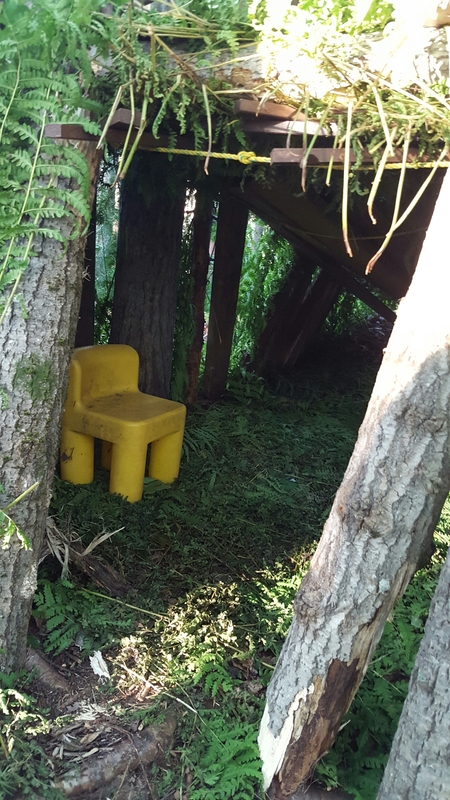 There is just enough distance between this forest hideaway and the watchful eyes of parents to allow him freedom to invent without boundaries, to play without rules. 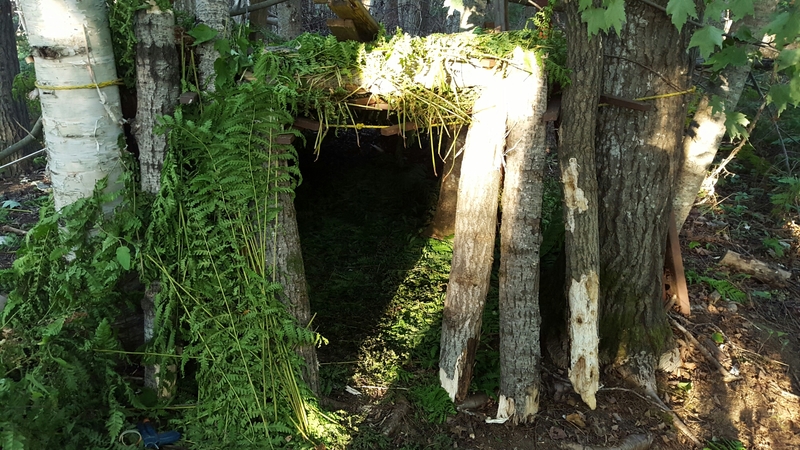 I can’t see my son when he’s in the woods, but this is what I know: I know he is developing his independence, his creativity, and his appreciation for our natural environment. He may come back to the house bug-bitten, scraped, or splintered, but he comes back happy. This summer we came home. After a year in Ontario, a move we made to be closer to “opportunities” for ourselves and our children, we have returned to the Maritimes once and for all. As it turns out, the opportunities we sought were neither abundant nor worthwhile. Instead, we have chosen to come back to the small town we came from. Family, friends, the quiet life, and the beautiful beaches drew us home. And so, I am back to sitting in the sand, listening to the waves, and searching for sea glass. I had fun photographing these alliums last night. They’re bright purple is a pop of colour in front of our garage, and their pompom shape appeals to my inner child. Stay tuned for more flower pictures (after a bit of an unplanned blog hiatus)… The garden is in bloom!